NEW CONSTRUCTION PENTHOUSE IN THE HEART OF WRIGLEYVILLE. COMPLETE HOME AUTOMATION AND PRIVATE ROOFTOP WITH BUILT IN GRILL, GAS FIREPIT AND PERGOLA. ENJOY ALL OF THE EXCITEMENT AT GALLAGHER WAY WHILE IN CLOSE PROXIMITY TO SOUTHPORT CORRIDOR AND NORTH HALSTED STREET. MODERN/TRANSITIONAL FINISHES WITH EURO STYLED KITCHEN THAT FEATURES MODERN CABINETRY, QUARTZ COUNTERS, UPGRADED SS APPLIANCE PACKAGE INCL. SUB ZERO FRIDGE, WOLF 5-BURNER COOKTOP, WOLF OVEN & MICROWAVE. DARK HW FLOORING THROUGHOUT LIVING AREAS AND BR'S W/PORCELAIN TILE ON BATHROOM FLOORS. MASTER SUITE FEATURES LARGE BR, GENEROUS W-I-C, MASTER BATH W/STEAM SHOWER, BODY SPRAYS, RAIN HEAD, HANDHELD & STANDALONE SOAKING TUB. 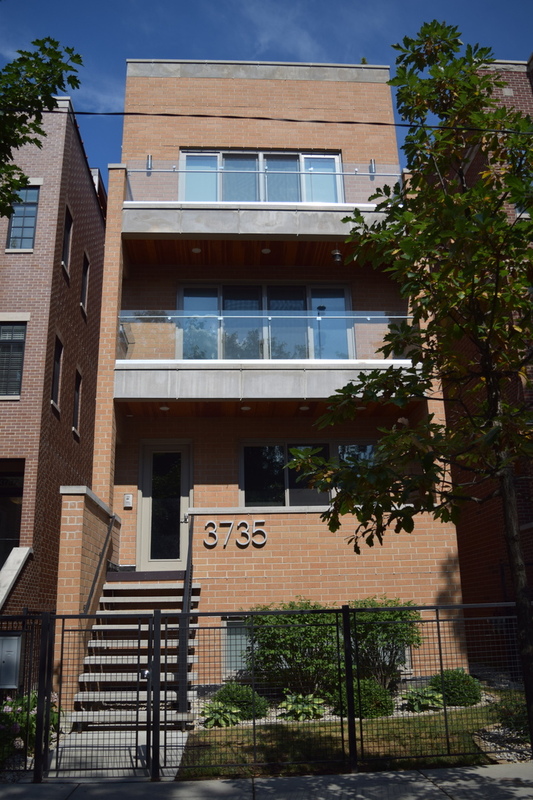 OUTDOOR SPACE GALORE W/FRONT WALK-OUT TERRACE, DECK OFF BACK & FULL PRIVATE ROOFTOP DECK. LAUNDRY IN-UNIT AND GARAGE PARKING IS INCLUDED. VERY WALKABLE LOCATION WITH ACCESS TO MANY SHOPPING, DINING & NIGHTLIFE OPTIONS. CLOSE TO CTA RED LINE AT ADDISON. NICELY APPOINTED UNIT, YOUR CLIENTS WILL WANT TO SEE! Property information last modified by seller on Thursday, August 30, 2018, 11:31 AM CDT. Information Deemed Reliable But Not Guaranteed. Unauthorized duplication, use, or linkage is prohibited. The information on this web site is for personal, non-commercial use and may not be used for any purpose other than to identify prospective properties consumers may be interested in purchasing. Monthly Payment Calculator results are for illustrative purposes only, not a financing opportunity; calculations assume a 30-year fixed-rate mortgage and do not include closing and other costs. Property Tax on NEW properties is estimated at 1.5% of Listing Price for payment calculation purposes; actual value may be higher or lower.